A sneak preview of Magnolia Square coming soon to Malvern Town Hall - 28th, 29th and 30th April. We are exhibiting at Magnolia Square soon and look forward to seeing you there....! 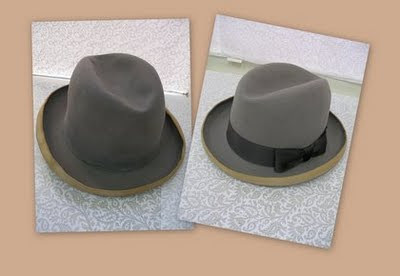 A Gentleman's dress hat that had seen better days..........here are the before and after photo's - the customer was very happy as this was his Grand Fathers hat and I made it look a lot better. It now has the added bonus of fitting him after I made alterations to the fit. An all round winner.